Barely 4 miles separates Arsenal’s ground at the Emirates in Highbury and Tottenham’s home stadium at White Hart Lane, although this season Spurs, as they are commonly known, are temporary tenants at Wembley whilst their stadium is being rebuilt. Despite this geographical proximity, however, there is enormous rivalry between the two clubs and their supporters, and, if you grow up in North London, you are likely to be either a Gooner or a Spud. Last season, Spurs finished above Arsenal in the table for the first time in 22 years amidst much talk from the white half of North London about a shift in the balance of power. But is this really merited, and which team has been more successful over the years? Strictly speaking Arsenal are transplants to North London. They were formed in Woolwich in South-East London in 1886 by munitions workers (hence the nickname the Gunners) as Dial Square before being renamed Royal Arsenal, and then Woolwich Arsenal. Despite being the first London club to turn professional in 1891, on the pitch they flirted with promotion to the old First Division, and then relegation back to the Second Division in the years leading up to the First World War, whilst moving close to bankruptcy off it. However, in 1914, they moved to a new ground north of the river, and chose to become known as simply Arsenal. Tottenham were actually formed 4 years earlier as Hotspur Football Club, with the name Tottenham added two years later. 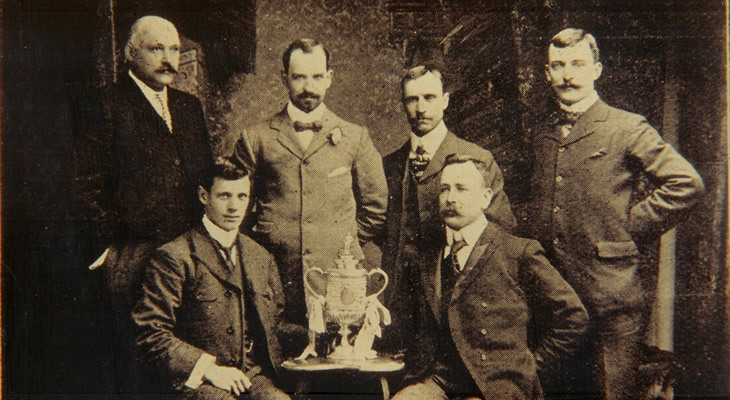 Initially playing in the Southern League, Spurs won the FA Cup in 1909, the only non-league club to achieve such a feat. A year later they won promotion to the First Division, and were runners-up in their first season. When football was suspended at the end of the 1914 – 1915 season because of World War One, Arsenal were languishing in 5th place in the Second Division, whilst Spurs had finished bottom of the First Division. When it was restored back in 1919, the First Division was expanded to 22 teams, with the two clubs who had first and second in the Second Division in 1915, Derby and Preston, duly promoted. However, inexplicably Arsenal managed to convince officials that they should be rewarded for their longstanding loyalty to the League, and they too were promoted – at the expense of Tottenham Hotspur! Many regard the enmity between the two clubs as dating from this period. The period between the two World Wars really belonged to Arsenal. Tottenham won the FA Cup again in 1921, but that was their only trophy success in that period. 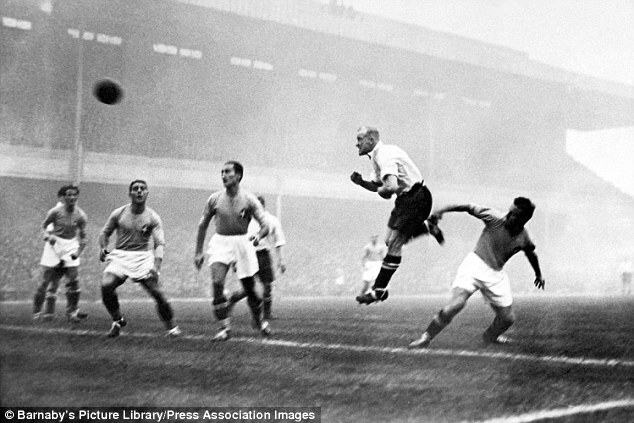 However, Arsenal came to dominate English football in the 1930s, winning 5 League titles and 2 FA Cups. The cornerstone for their success was provided by manager Herbert Chapman who had won two League titles with Huddersfield Town before he was persuaded to move to North London. He transformed Arsenal’s fortunes and established a fast, pacy style of football, which soon came to dominate the opposition. He also managed to persuade London Transport to rename Gillespie Road tube station after Arsenal, and it remains the only football club with a station named after it. Chapman died suddenly in 1932 – a marble bust of him can still be found at The Emirates today – but the team continued to prosper under his successors, and even supplied seven members of the England team that beat World Champions Italy in what was dubbed the Battle of Highbury in 1934. On the resumption of play after the Second World War, Arsenal won the FA Cup again in 1950, and claimed another League title in 1953. However, the team was about to enter a barren spell, and were not to win another trophy for 17 years. Spurs meanwhile were about to enjoy their best spell. In 1949, under manager Arthur Rowe, they won the Second Division title, playing push and run football, and a year later they were celebrating winning the First Division title for the first time. Then in 1958, the club appointed Bill Nicholson as manager, and he led them to unparalleled success, becoming the first team to win the League and Cup double in the modern era in 1961, the FA Cup in 1962, and the Cup Winners Cup in 1963, becoming the first English team to win a European trophy. Spurs would go on to win the FA Cup again in 1967 and the League Cup twice in 1971 and 1973. Meanwhile, Arsenal, after a period in the doldrums, began to revive under new manager Bertie Mee, and despite losing two successive league cup finals in 1968 and 1969, the latter to lowly Swindon Town of the Third Division, claimed their first trophy in 17 years when they won the Fairs’ Cup over two-legs against Belgian side Anderlecht. Better was to come the following year, when Arsenal emulated Spurs’ feat of winning the League and Cup double, and had the added sweetness of clinching the League title at White Hart Lane, an 88th Ray Kennedy header giving them victory. Both Arsenal and Spurs enjoyed lean years in the 1970s and 1980s, with only the odd cup triumph to celebrate between them. However, things began to dramatically improve for the red half of North London when George Graham was appointed Arsenal manager in 1986. He formed a tough, aggressive team focused around a solid back four and goalkeeper, which won the League in dramatic fashion in 1989 in dramatic fashion, beating Liverpool in the last game of the season with an injury-time winner from Michael Thomas. Two years later Arsenal repeated the feat, and then won the FA Cup and European Cup-Winners’ Cup in successive years. Graham was dismissed in 1995 after admitting taking a transfer “bung”, and would, controversially, go on to manage Spurs for 3 years between 1998 and 2001. However, despite winning the League Cup in 1999, he was sacked two years later, and has not worked as a manager since. When the barely known Frenchman Arsene Wenger was appointed manager of Arsenal in October 1996, Spurs could claim to be on rough parity with their London neighbours. 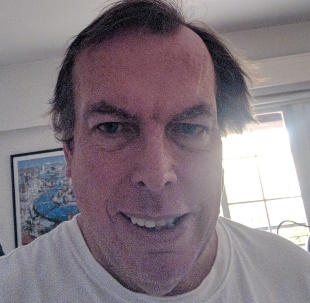 However, in the years, the gulf in terms of success between the two has been enormous, with eleven different managers coming, and going, at White Hart Lane. Spurs’ sole trophy in that period was the League Cup in 2008. Arsenal, by contrast, won 3 Premier League titles and 5 FA Cups, and have increased their number of doubles to three. They went through the 2003 – 2004 “Invincibles” season undefeated, and set a Premier League record of 49 games without defeat. They also reached the final of the Champions League, and clinched the 2003-2004 title on their favourite away ground – White Hart Lane! Even when Arsenal were forced to retrench on expenditure to finance their move from Highbury to the Emirates, they were able to always manage to finish above Spurs in the table, and for 22 years, St. Totteringham’s Day – the point in the season when it was confirmed that Spurs could not match Arsenal’s points tally for the season – was always celebrated by the red and white supporters. Spurs fans point to the appointment of Mauricio Pocchettino as manager as the turning point, and argue that he is about to lead them to glory, with a young attacking team, including talent like Harry Kane, Dele Ali, and Christian Eriksen. They believe that the move to their newly rebuilt White Hart Lane will enable them to move into a new era, whilst progress in the Champions League suggests they can now compete with Europe’s elite. Meanwhile, Arsenal seems to be riven with dissent and internal dispute as the Wenger era comes to an end. However, it should be pointed out that since Pocchettino arrived at the club in 2014, Spurs have won precisely nothing. Meanwhile, Wenger has added another 3 FA Cups to his CV and has now won the trophy more times than any other manager in history. Even this season Arsenal have already put Tottenham in their place once, when the sides met at The Emirates in November in 2017, amidst talk amongst the Spurs’ fans of a shift in the balance of power in North London. 90 minutes later Arsenal had won 2 – 0 and played their opponents off the park. As the head to head record show, Arsenal have the clear edge in head-to-head encounters.